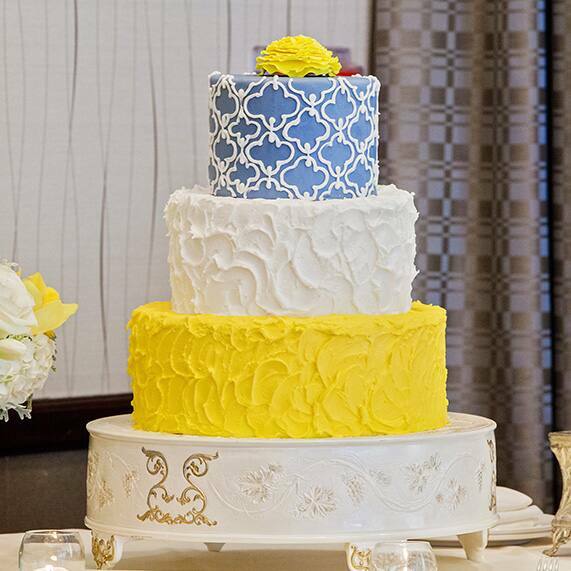 Today's Wedding Cake Wednesday feature has me dreaming of delightfully sunny days. I can't help but smile when I look at this preppy chic beauty topped with a bright yellow sugar flower. This cheery cake may be just what the doctor ordered to help cure those winter blues!